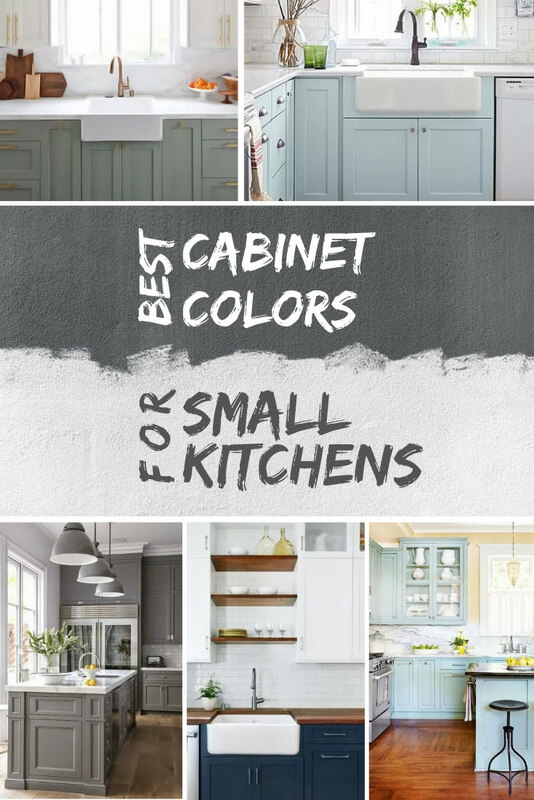 What are the best kitchen cabinet colors for small kitchens? There are a lot of options to choose from. We break it down to help you choose. A lot happens in the kitchen, yet it can be one of the smallest rooms in the entire house. Do not fret; there are always little tweaks that you can make to improve the overall look of the kitchen. 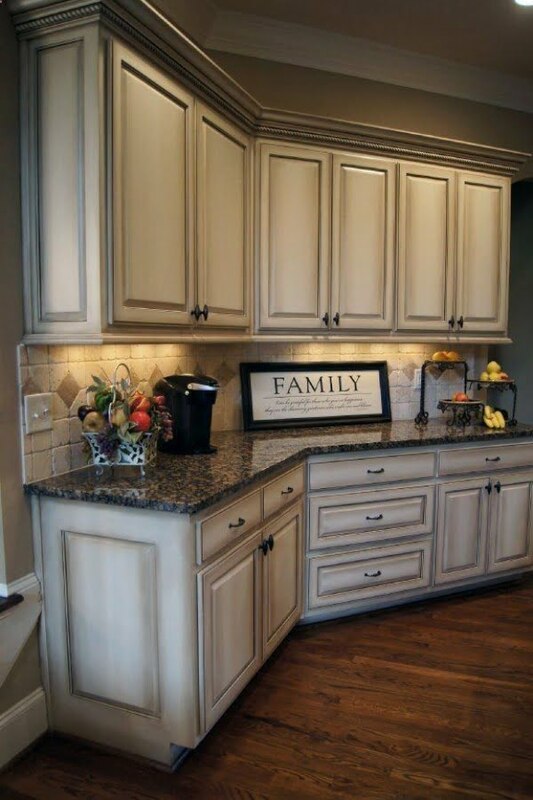 For example, there are certain kitchen cabinet colors for small kitchens. You might not think paint can do much, but you’d be surprised. It may not seem possible, but the fact is that the right colors can change the perception of a room. Some colors can make a room look bigger while others will make it seem smaller. You will need to apply this concept to your small kitchen, especially if you’re building your own DIY kitchen cabinets. How Do You Make a Small Kitchen Look Bigger with a Paint Job? 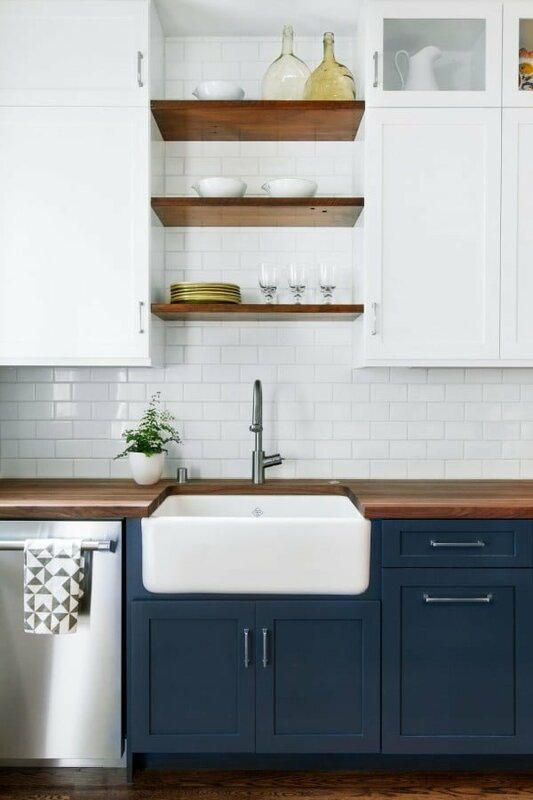 What is the Best Color for a Small Kitchen? How Do You Paint the Kitchen Cabinets? 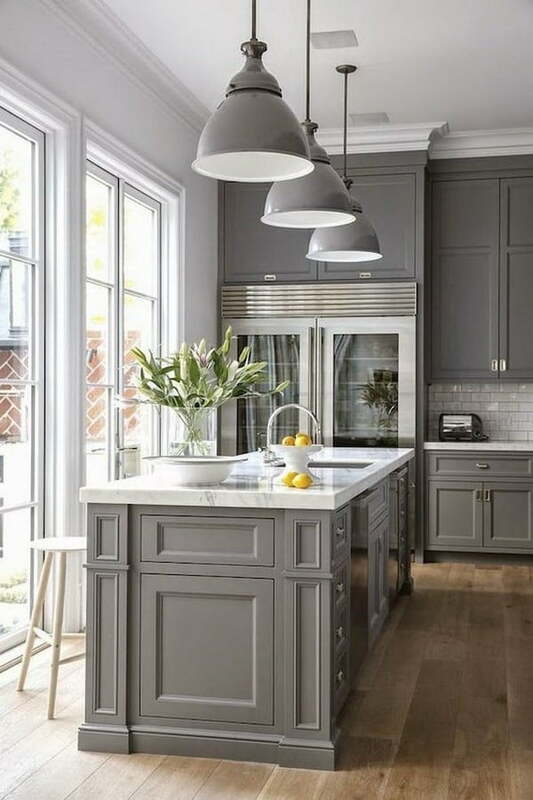 How Much Should You Spend to Paint Kitchen Cabinets? 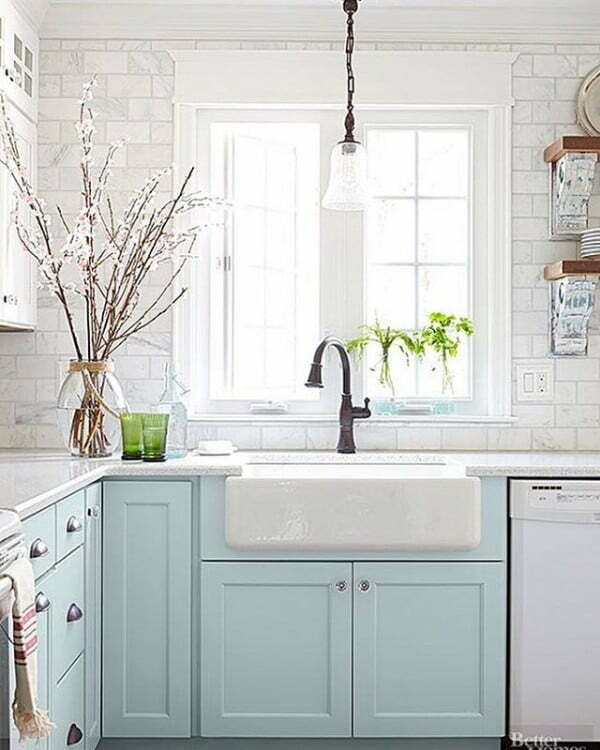 What Are the Most Popular Colors for a Small Kitchen? Lighter and cooler colors recede, which is the effect that you want. Warm or dark colors feel like they are moving toward you, which can make a room feel smaller. Of course, you have a small kitchen, so you have to stick with lighter or cooler colors. You might also want to ensure that all the walls are one color to help hide edges. Edges are an enemy for any small room because it focuses the eyes, making a room feel smaller. 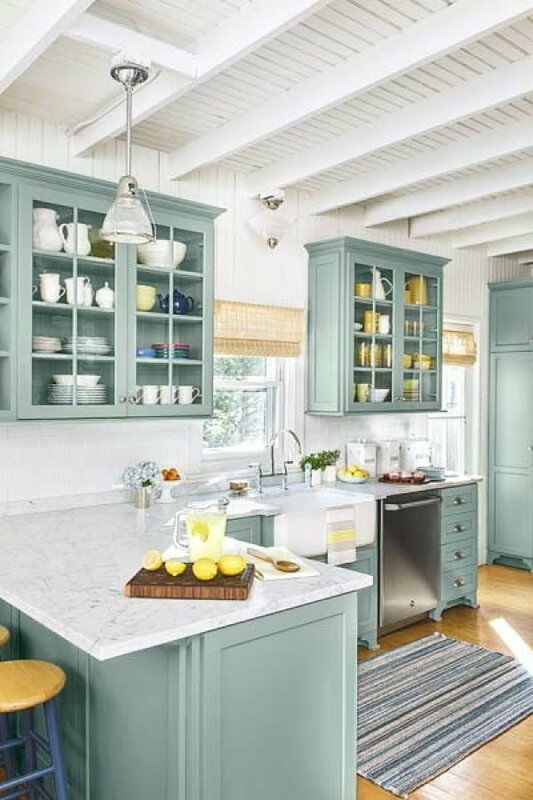 Those that have a short ceiling may have to consider vertical stripes to make the kitchen seem a little taller as long as you skip the ceiling and the edges of the room. Some create these vertical lines by simply using different colored tiles to replace some of the tiles already there. 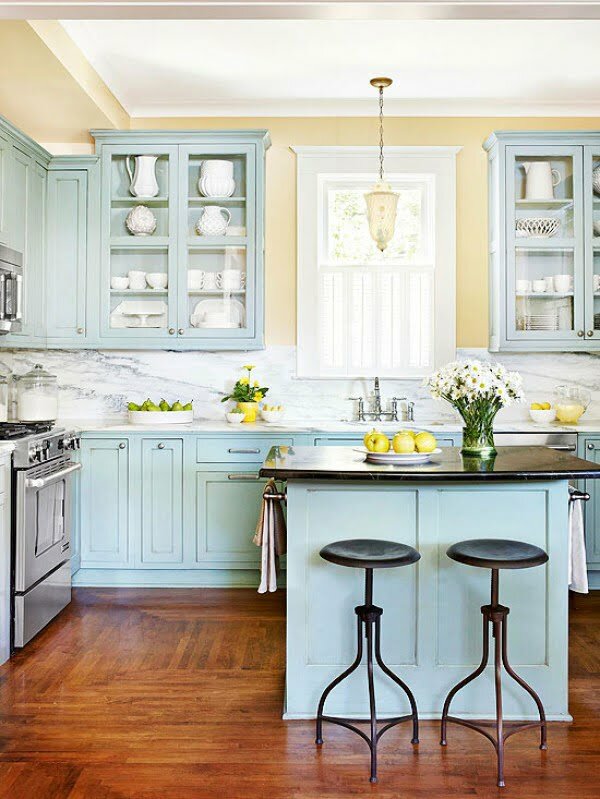 There are certain colors that simply work best with a kitchen. One of the most popular is white or off-white. This color works as it helps make your kitchen look a little bigger, and it helps keep things pretty, but there is one small hiccup: stains. 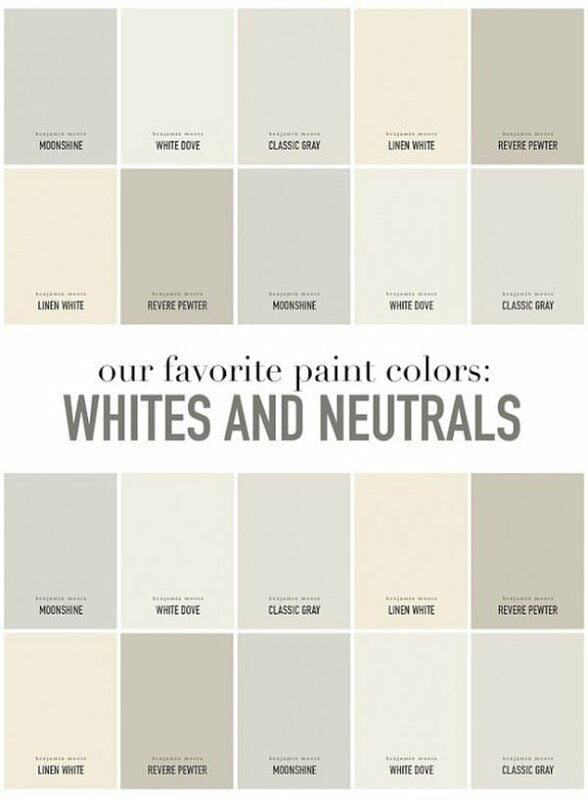 Having white or off-white walls puts your walls in danger of stains. It is pretty easy for stains to be seen on this color, and the kitchen is notorious for stains, from popping oil to foods in general. This is one reason why white or off-white colors are not always used. 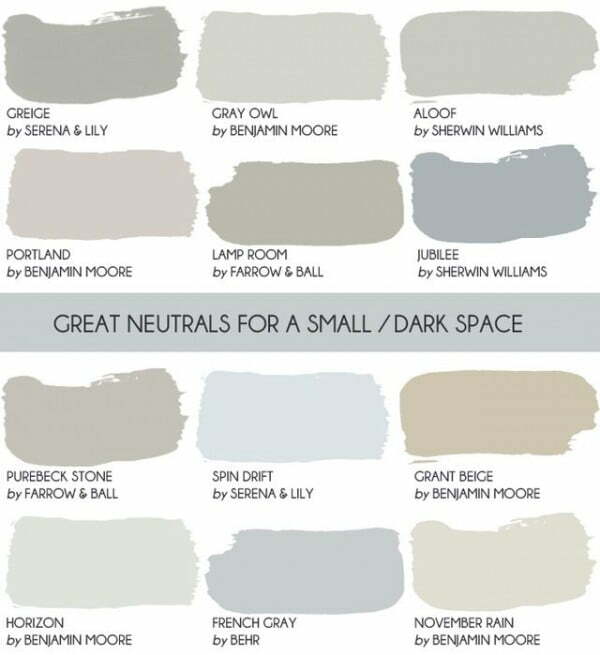 Some opt for shades of grey that create a similar look without the burden of worrying about stains. Those who are a little bolder might want to consider light shades of green, blue, or even yellow. All of these colors are easy on the eyes, and they are bold enough for your kitchen to make a statement. Of course, the most important factor about these colors is they should make the room look bigger. It should be noted that yellow is pretty lively, which should help cooks who do not love the kitchen. The color has the power to make you feel invigorated and more energetic. Blue and green help you feel a little more relaxed, which is a good thing for those who get a little anxious when cooking. 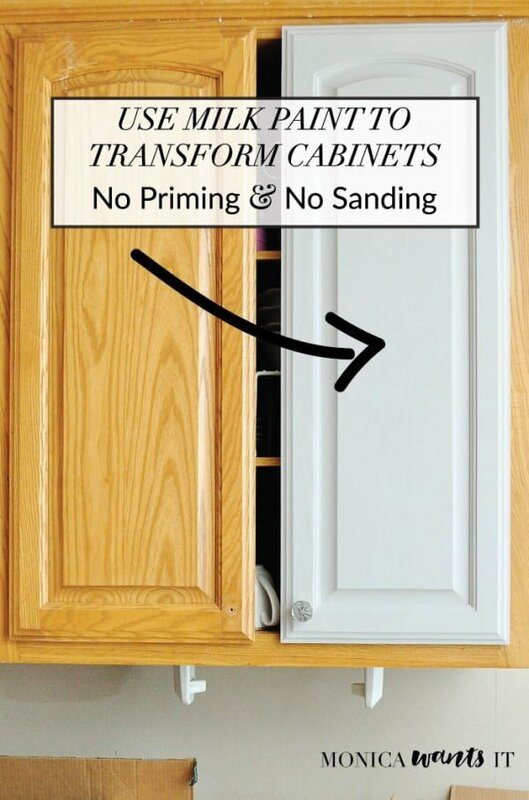 One of the trickiest areas to paint when you are re-doing your small kitchen is the cabinets. These can get outdated pretty quickly, which can be fixed with the right paint job, but they also require a lot of preparation. Of course, the best way to paint your cabinets is to use a paintbrush and a small roller. Sure, some people use a spray painting gun to move the project along a little faster, but this takes special skill to ensure that it looks even throughout. You have to make sure you clear out all the items in the counter and within the cabinets before you get started. You want to remove appliances if you can or at least cover them. Now, one of the most important steps is to remove the hinges and all hardware holding the doors and drawers in place. You need to remove doors and drawers too, as long as you label each one so you know where to put them back. You want to prep all surface areas by scrubbing the areas clean to ensure that the coating spreads evenly. Focus on removing grease or food particles that might be left behind. You can start painting after that and finish off using 100-grit sandpaper to make the finished product as smooth as possible. Painting the cabinets can cost up to $1,000 should you hire a professional. There are a few benefits for that since you will not have to worry about prep work as the painters will take care of that for you. Of course, those who decide to do it on their own could be looking to spend around $200, which is a big difference. Sure, the job may take longer since it will only be you working, and it may be a little tedious because this is a job, but it does save some money. 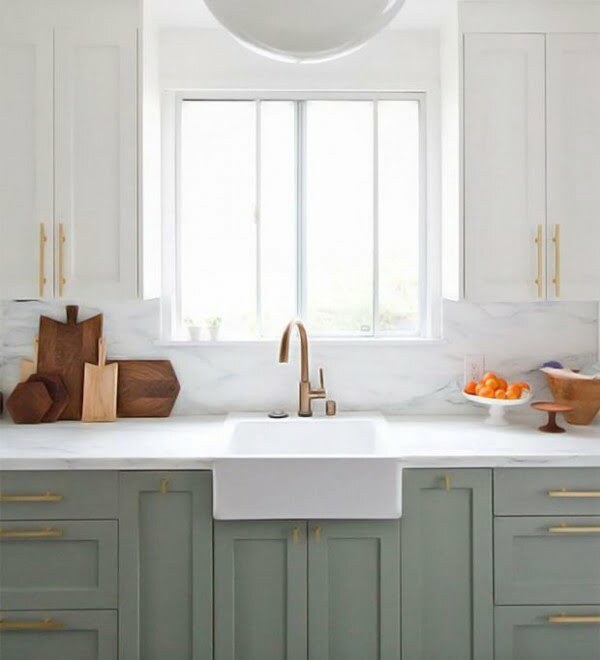 You already know some popular colors include white, off-white, and many other lighter shades of cool colors, but there are a number of special colors that people love to combine with a kitchen, even a small one. For example, people love to add colors like silver, aqua blue, and yellow. Most of the time, they add a backsplash with these colors or a thin line of tiles across the entire kitchen to make the room stand out. 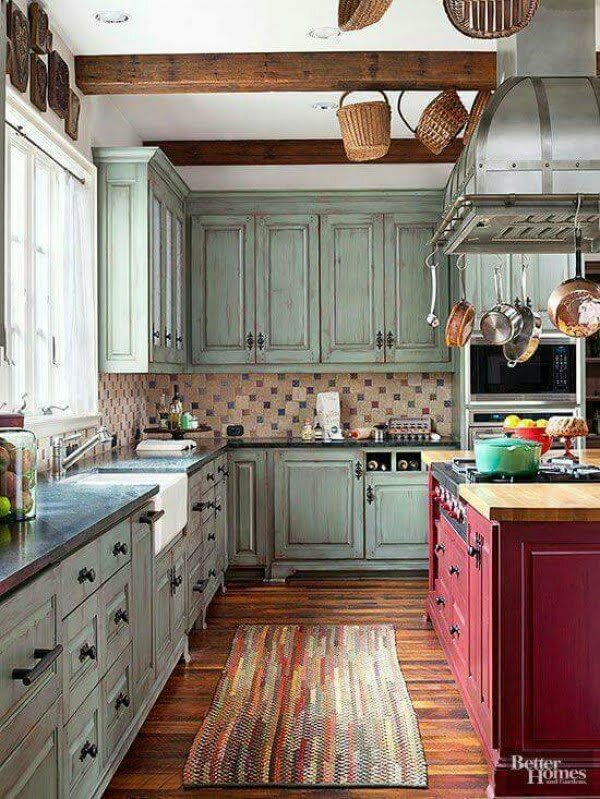 Rustic kitchen cabinets work for that matter as well. Hopefully, some of this information made it easier to work with your small kitchen. There are many other things that you can consider like buying smaller appliances just as an example. 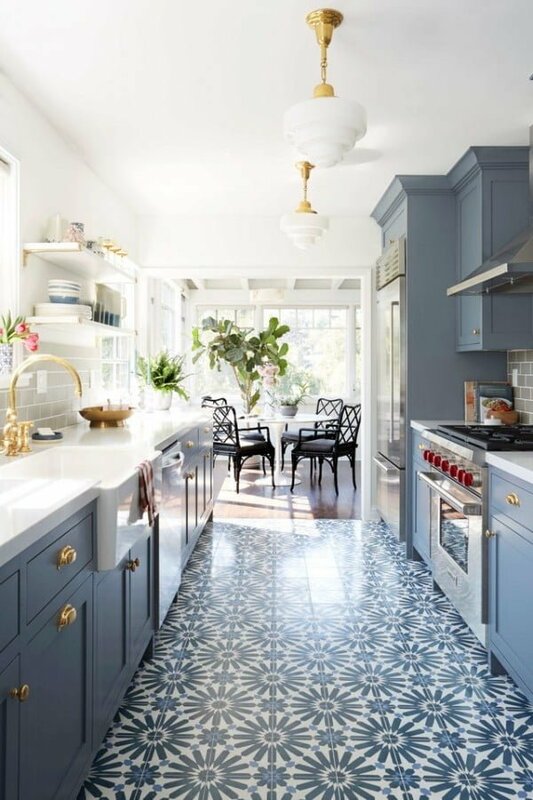 You should consider talking to an interior design expert to see if there are any additional ideas that could help make the kitchen look a little bigger. Do not be afraid to think outside the box because you never know what suggestion is going to work for you. Be sure to keep the colors in other areas of your home in mind because you do not want the kitchen to stand out like a sore thumb.